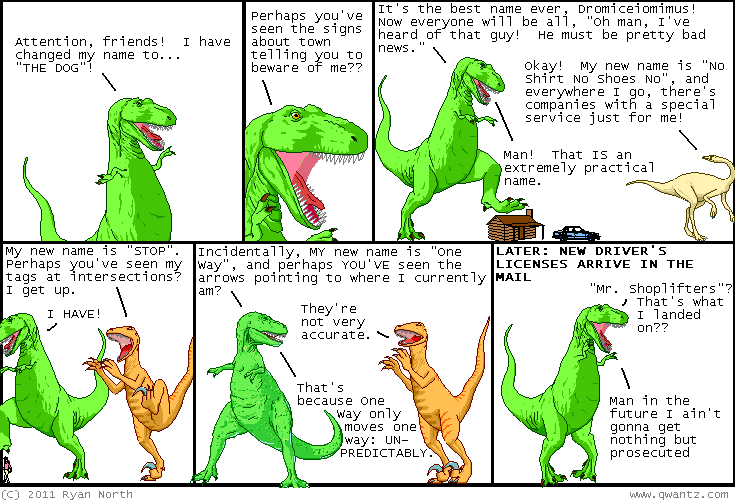 Dinosaur Comics - November 23rd, 2011 - awesome fun times! –I have not. Okay?! Let's talk about something else! November 23rd, 2011: If you look down beneath these words (on the website anyway) you will see SHIPPING DEADLINES. This is a "heads" "up"! The closest one is December 9th, and it is the last day for any non-US order. Let us prepare.